How many of you want to start a business of your own? Do you find it a struggle to find examples of successful female figures in the mainstream media? Did you nod your head in answer to the above questions? Then, you’ll be excited to learn about Dream, Girl, a documentary film that will showcase the empowering tales of women-run businesses. 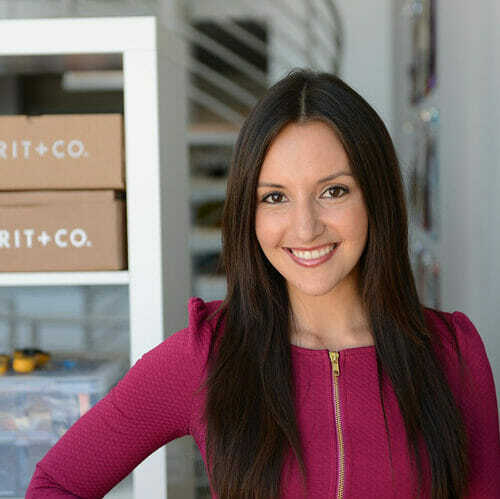 While you might know the names of male entrepreneurs like Steve Jobs or Bill Gates, can you say the same about successful female entrepreneurs? Do you know their stories, or what their lives are like? Her Agenda: What inspired you to create Dream, Girl? Erin Bagwell: About a year ago I created a feminist storytelling blog called Feminist Wednesday as a way to share empowering and inspiring stories about women with my friends. 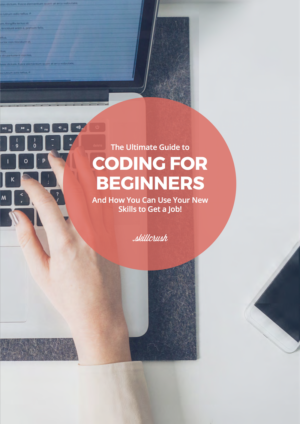 As the blog grew and more women came forward to share their stories, I was meeting lots of female entrepreneurs. I was so inspired by their drive, dedication and passion. 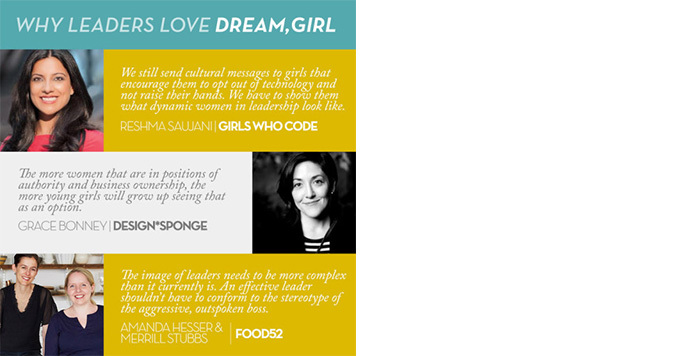 Not only were they dreaming up awesome products and ideas, but they were also fostering company cultures and communities that supported, believed in, and were driven by women. I have a background in film and animation, and really wanted to share these stories on a larger scale. So I put my idea down on paper, organized a crew to help me start shooting, and called all the #girlbosses I knew to share their stories for the Dream, Girl trailer. 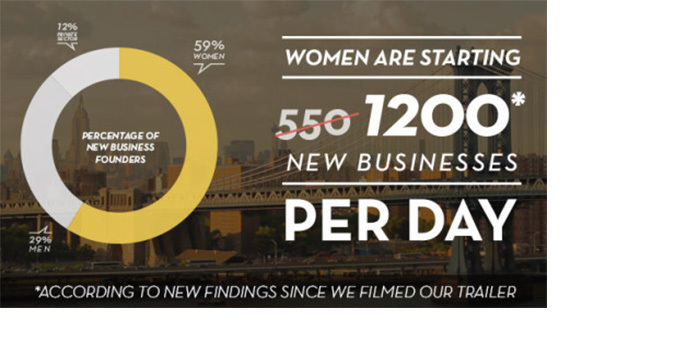 All the women you see in our trailer are founders and entrepreneurs who believe in and will be featured in the finished film. Her Agenda: What is your mission? 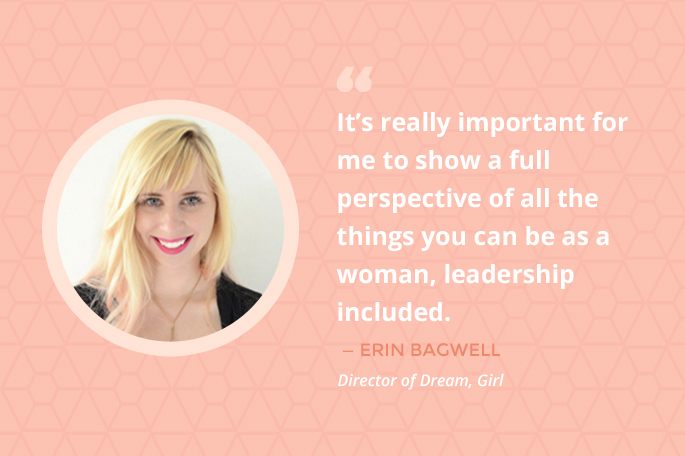 Erin Bagwell: Our mission is to pass on the stories of female entrepreneurs and in doing so inspire women to see themselves as leaders. We truly believe you can’t be what you can’t see; so the more stories we see of women starting businesses, taking risks, and leaning into their careers, the more you can see those leadership characteristics in yourself, and lean in to your business or life goals. Her Agenda: Who is the target audience? Erin Bagwell: These stories are so universal to anyone who is interested in learning what it takes to start a company or be a leader. 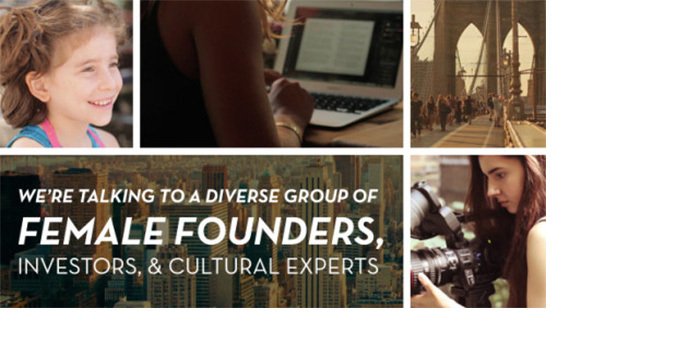 In the film, we’ll talk about startup culture, how women’s perspectives are building unique and successful companies, what it takes to get investment, and why women are starting more companies than ever before. Her Agenda: Do you feel that there is nothing else out there like this? Erin Bagwell: The stories and media we see about women center around beautification, almost always relegating women to the supporting role. 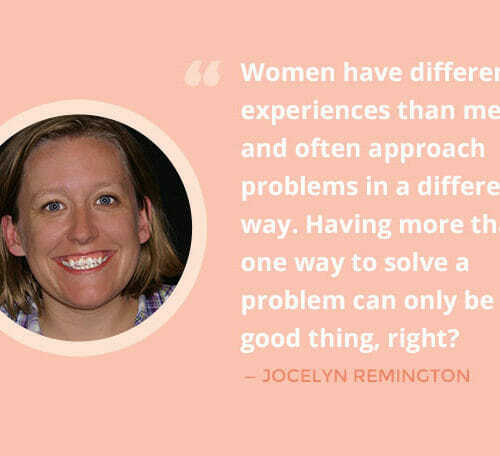 It’s really important for me to show a full perspective of all the things you can be as a woman, leadership included. Her Agenda: How do you feel about the girl power movements that are emerging across various industries from ads to the private sector? Erin Bagwell: I think any and all discussion and promotion around girl power in the media, across the board, means that progress is being made. It can no longer be ignored and is now at the forefront of lots of people’s minds and interests. I think it’s great that we continue to foster and work towards promoting women’s and girl’s equality, and I truly believe that Dream, Girl will play a role in that cause. Please check out the trailer on our Kickstarter page and back the film if you can! 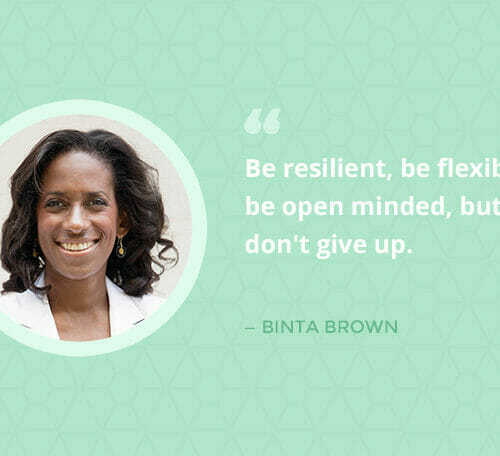 This post first appeared on Her Agenda, an award-winning inspiration and information hub for ambitious millennial women, providing the best resources found online to motivate them to reach their full potential. Recently named a top website for millennial women by Forbes.com, Her Agenda’s content driven resource portal attracts driven women and gives them the tools to become accomplished women. Her Agenda curates, collects, and creates the latest news, events, career advice, jobs, workshops, panels, and conferences to help women with their careers. Her Agenda also features interviews with powerful, successful women to offer direct advice from their career journey to readers. For more, visit www.HerAgenda.com. Prev: Q & A with Bea Arthur: Taking Therapy Off the Couch and Into Your Browser Next: 53 Million Americans Are Doing This. Why Aren’t You? Crowdfunding: The Official Sponsor of The 2014 Olympics?